Photos courtesy Park City Museum and Deer Valley Resort. Can you guess which Cowboy Western group came first? Long before Lannie "The Marshal" Scopes and Craig "Creek" Johnson began singing Cowboy songs as "In Cahoots" (left), the "Park City Wranglers" (right) entertained local audiences in the 1930s. 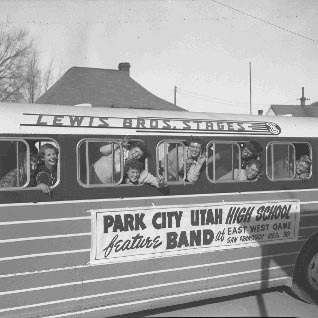 Visit the Museum today and learn how Park City became the musical mecca it is today!